Having been turned down again by Birmingham City Council last year, the proposed development of 23 flats adjoining 1000 Trades has been put forward to an appeal with the Planning Inspector, seeking to overturn the Council’s decision. We believe the Council decision was correct, and made in the best interests of everyone in the area – residents, businesses and other organisations – from a body best placed to make the right call. So we are simply asking that the Inspector backs the Council in what it has already said, as well as the vast majority of people who responded to the prospect with concerns the last time this was on the table. As we outlined before, we believe this development is inappropriate for the area, with several precedents in Birmingham for venues having to close when new flats have been built next door because of complaints from residents. Last year we commissioned an independent acoustics expert to undertake an analysis of proposed mitigation measures, which concluded they were inadequate. In such circumstances, the Agent of Change principle is intended to protect venues like us – and Acapella over the road. The Agent of Change represented one of the key changes to the National Planning Policy Framework (NPPF) in July 2018, with the introduction of paragraph 182. Our case exemplifies the principle in action and will be regarded as a local “test case”. We have instructed a specialist barrister to represent 1000 Trades, and are forming a coalition of residents and local businesses to press upon the Planning Inspector the strength of feeling on this issue. Submit your views to the inspector via https://acp.planninginspectorate.gov.uk – quoting reference 3217413 – preferably outlining why you particularly value 1000 Trades and anything else which may be affected. The deadline for submissions is 21 February. 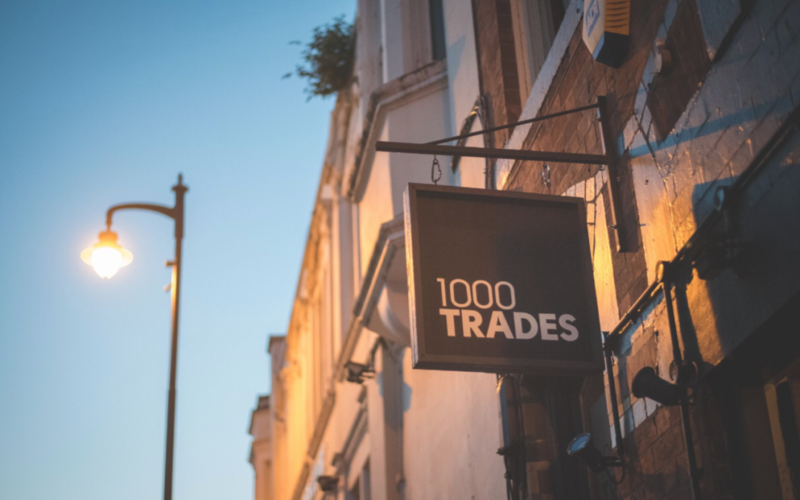 1000 Trades is an independently owned small business and we aim to play an important role within the Jewellery Quarter. Our premises are used virtually every night of the week for community meetups, arts events and live music. In short, we like to think of ourselves as ‘more than a pub’. We do not have the resources of a developer to challenge these proposals. We wish we didn’t have to ask, but we need your help on this – so if you value us being part of the JQ as much as we do, please take some time to lend your support.